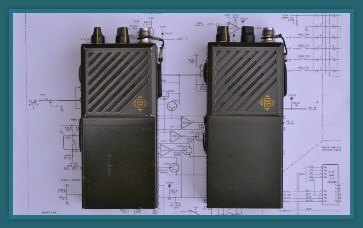 Medium range handheld radio, field proven in rescue operations in the mountains and the Balkan war. Key features five watts of RF power, sensitivity better than 0.25µV, scan, subtones for repeaters activation and selective calls. Military version with extended temperature range; water, saline fog, vibrations and shock proof.